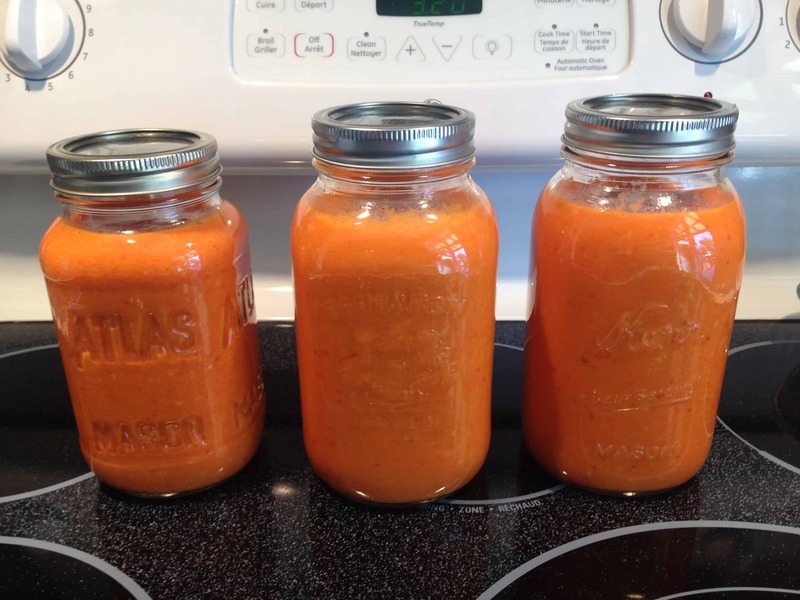 You can use this hot sauce recipe with any type of hot pepper. I tend to use multiple varieties and adjust to suite my taste. 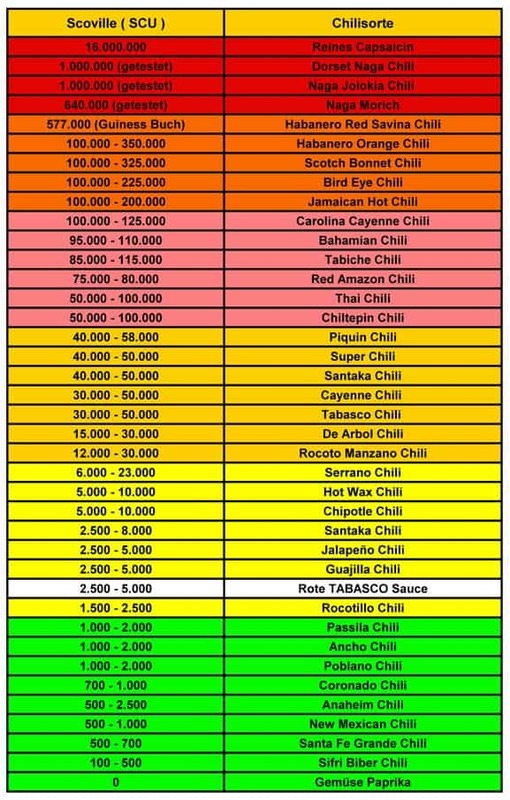 Below you can see the Scoville Scale and judge the relative heat of different varieties of pepper. In this recipe I used a Habenaro type of pepper as the hottest variety with Super Chile, Cayenne, Tabasco and Yellow Wax. 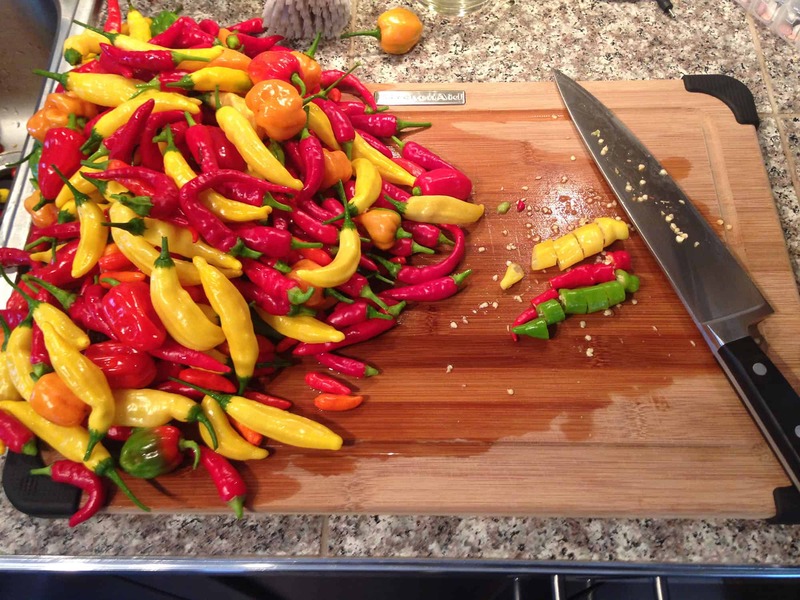 30 – 40 hot peppers, stemmed and cut crosswise into 1/8-inch slices (about 20 ounces) *if the peppers have a lot of seeds you can remove them as well. 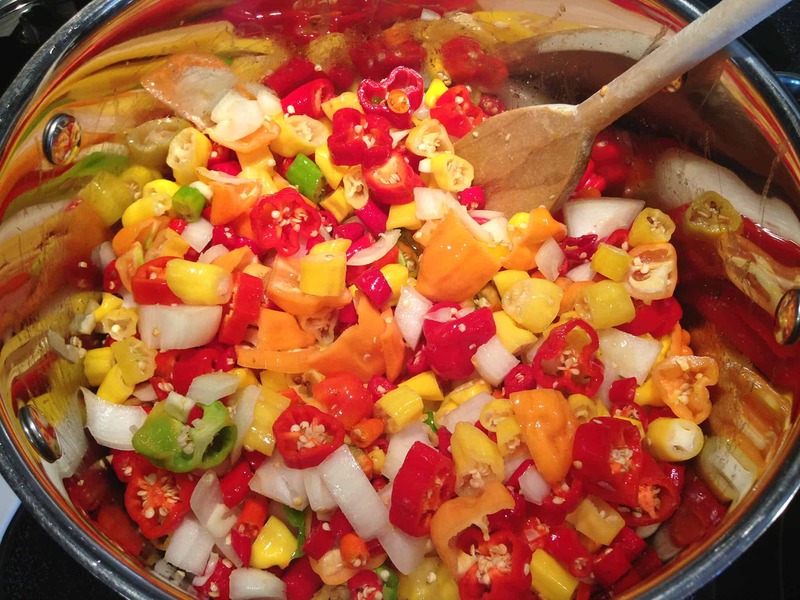 In a large saucepan add the peppers, garlic, onions, salt and oil and heat over high heat. Saute for 5 minutes. 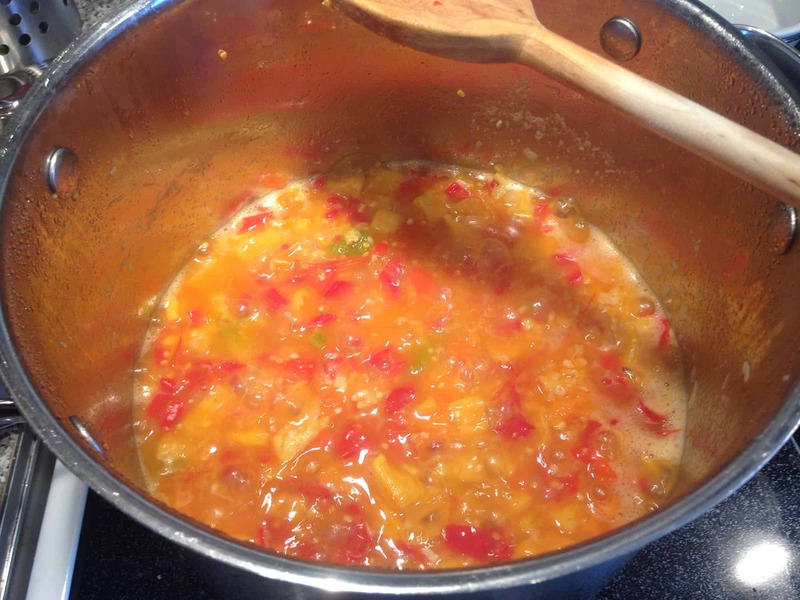 Add the water and continue to cook, stirring occasionally, for about 20 – 25 minutes, or until peppers are very soft and almost all of the liquid has evaporated. You might want to have the stove fan on for this! Take off the stove and let the mix sit until it comes to room temperature. 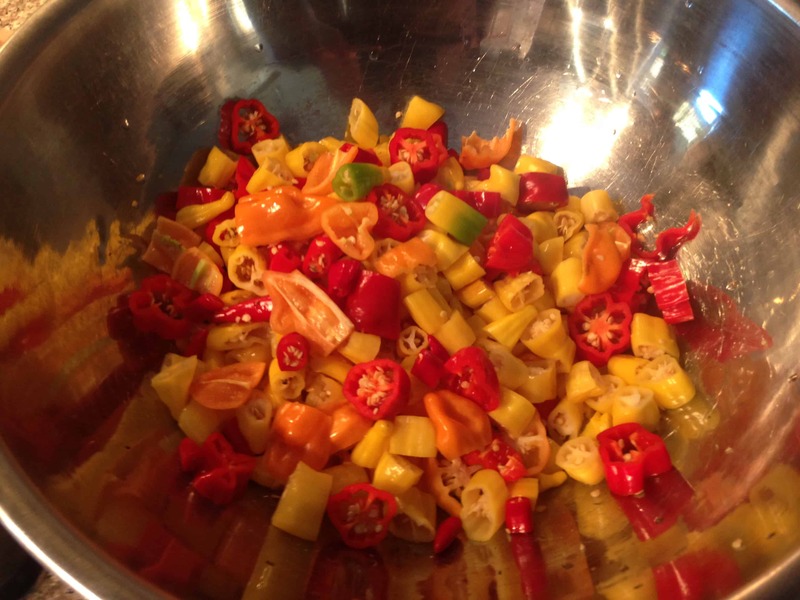 In a food processor, blend the peppers for 15 seconds, or until smooth. 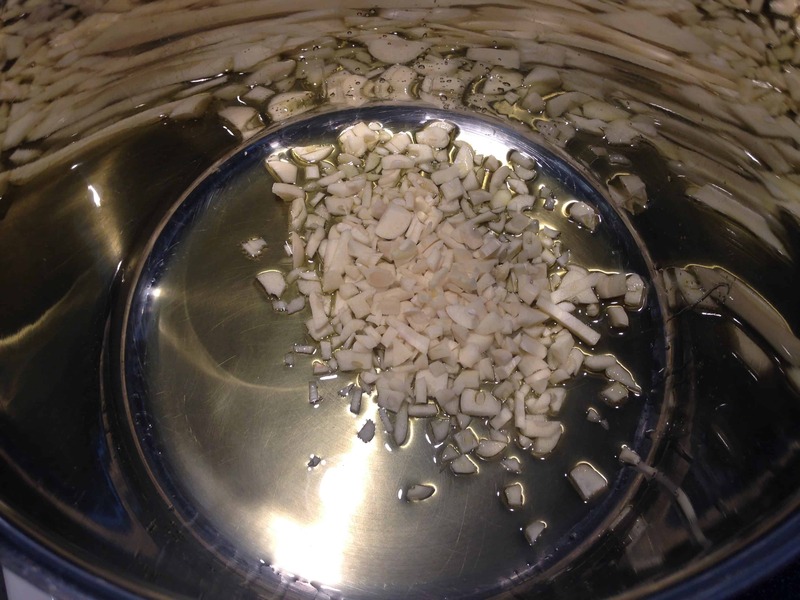 With the food processor running, add the vinegar through the feed tube in a steady stream. Taste and season with more salt, if necessary. (This will depend on the heat level of the peppers you use as well as the brand of vinegar used.) You can strain the mixture or not. I don’t. Pour the mixture into sterilized mason jars and secure with an airtight lid. Refrigerate. Let age at least 2 weeks before using. Can be stored in the refrigerator for up to 6 months. A mix of hot pepper varieties straight out of the garden. Step 1: Add the olive oil and garlic. 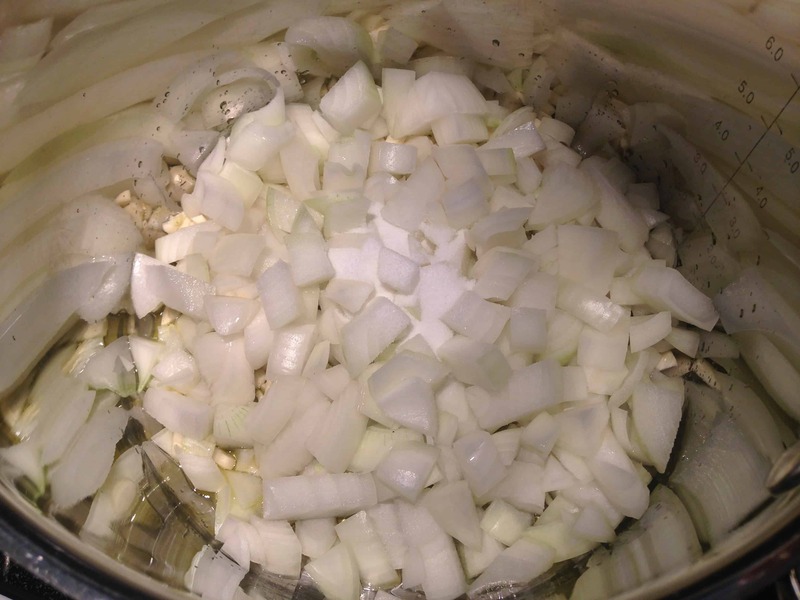 Step 2: Add the onions and salt. This is what the mix looks like once it has cooked enough. Final result in mason jars. Gloves are definitely a necessity when cutting the peppers up! Thanks for dropping by! I’ve never thought about making my own hot sauce before! I can’t believe how easy it looks too!! I can’t wait to try this and experiment with it! It’s really easy to make and tastes great! I'm a web technology guy, a photographer, wine lover, and BBQ/Smoker aficionado. I like to hunt with both gun and bow, I tie my own flies and love to fish!